Pasupathy denial on sidelining rumours! “It’s a wonderful experience to act with Rajini SIR. Kuselan is an excellent story. 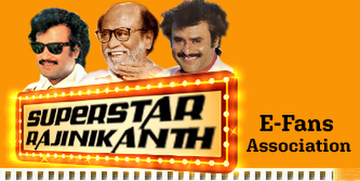 Rajini sir has acted differently in this film. I liked very much his way of behaving more than his acting skills. He shows love and affection to all without partiality. I met him in person only during Kuselan pooja. The moment he saw me, he hugged me with passion and wished me. It is really incorrect to say that I am sidelined in Kuselan. This is 100% Rajini sir’s film. I am just a part in it. What doubt in this? I should be grateful to Rajini sir and Vasu sir for giving me an opportunity to act in this film. This itself is a thing to be adored. What else I want? So, there’s no room for discarding or sidelining me. If you ask me why I didn’t attend audio launch it is because of this Vedigundu Murugesan shooting. This is a low budget film. Their schedule shouldn’t be affected because of my absence. So, I already informed Vasu sir about this and explained my inability to take part in the audio launch. Since he knows the nuances of a film shooting, he understood.